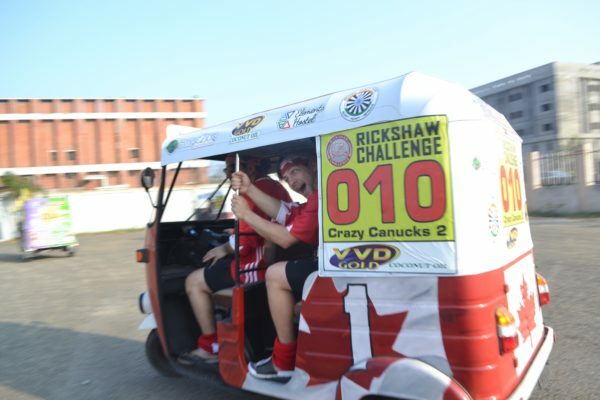 This year’s Rickshaw Challenge Classic Run was as successful as ever. 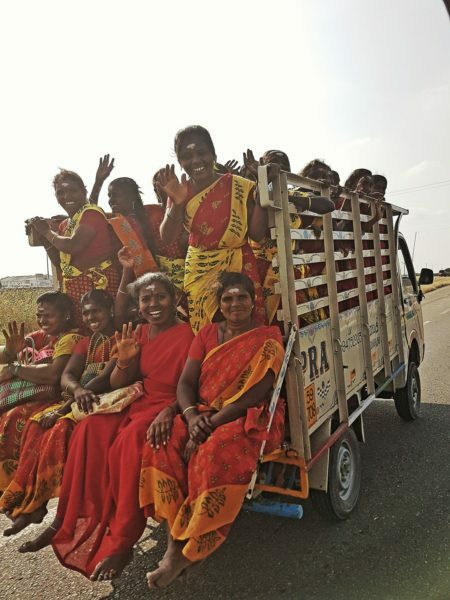 From Chennai all the way down to the tip of Southern India, the Rickshaw Challenge Classic Run was filled with laughter and adventure. 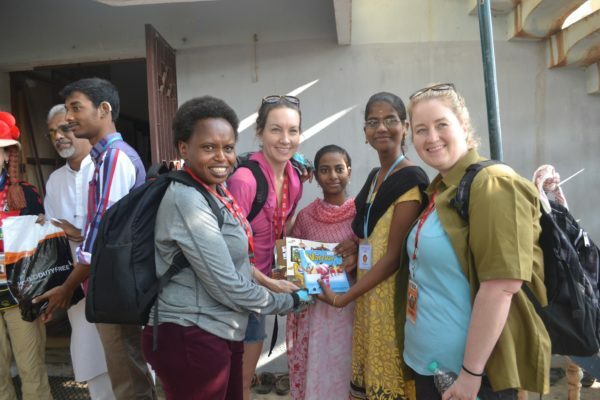 Teams traveled almost 1000 km, experiencing the region’s incredible food, fascinating history, and stunning scenery. 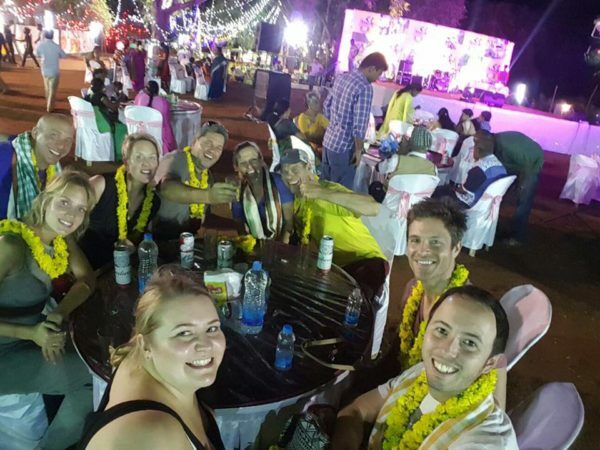 There were challenges too: the busy Indian roads, rickshaws breaking down and, of course… hangovers. Forty-six participants (from ten different countries!) took part, and since everyone was together for New Year’s Eve and the 10th anniversary of the Travel Scientists, there was always a reason to celebrate! 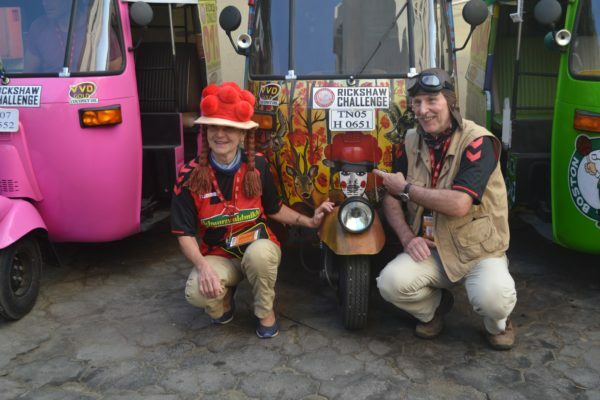 It’s always great to have outfits, rickshaw design, and team name all match! And everybody enjoys a team who stand out from a crowd! 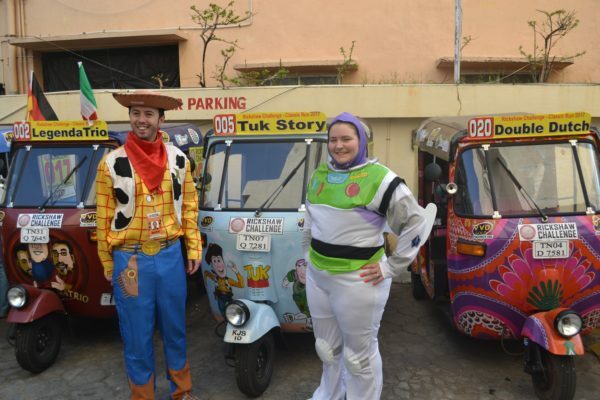 Driving over 500 miles in an auto tuk-tuk can be daunting experience, but training in Chennai prepared all the teams to face the Indian roads. 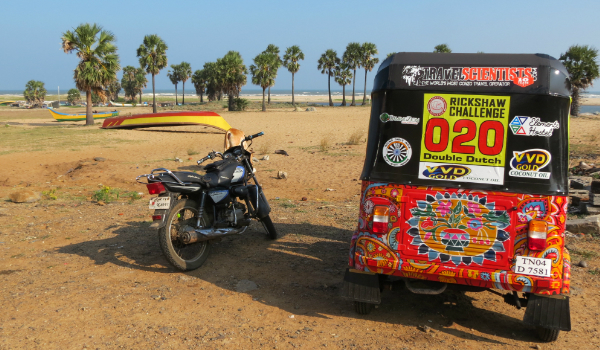 Of course, rickshaws are temperamental beasts. 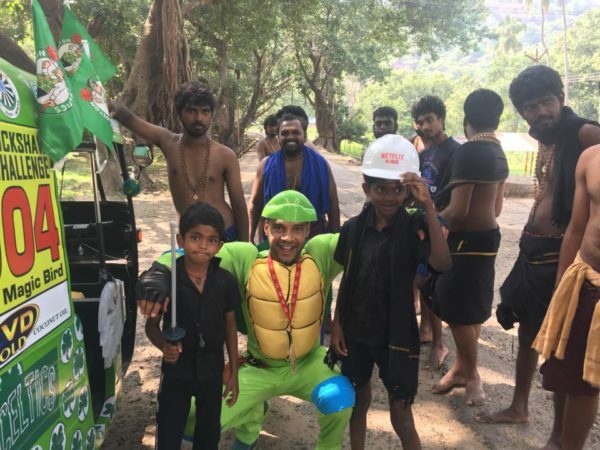 Luckily, the boys from Chennai Garage boys are always ready to fix any problem in no time. 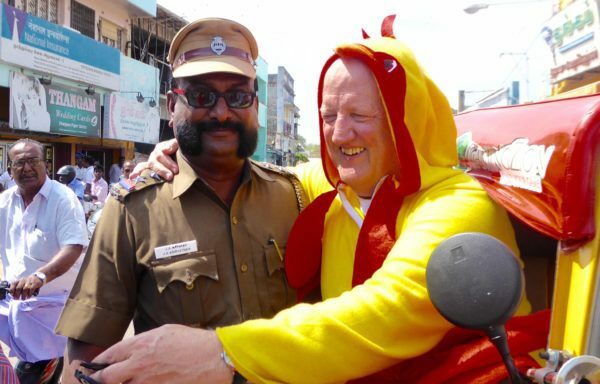 Here is Jale from Team Magic Bird, the Classic Run overall winners, meeting the locals in one his team’s many different outfits! The Classic Run takes teams to some great places to relax. 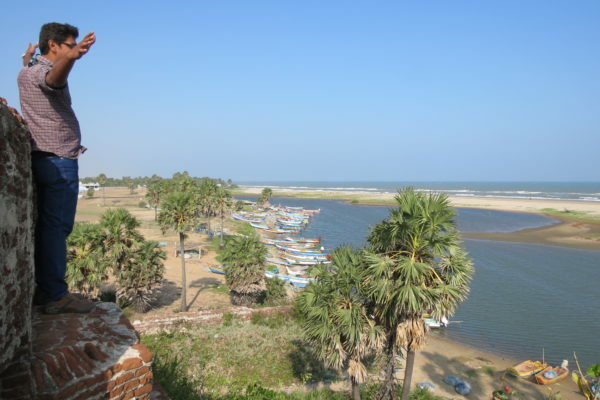 … and enjoy the view. 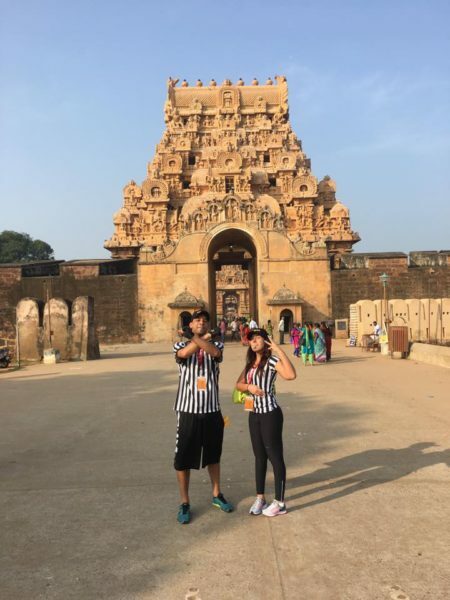 A trip to India wouldn’t be complete without seeing temples (and taking funny photos)! 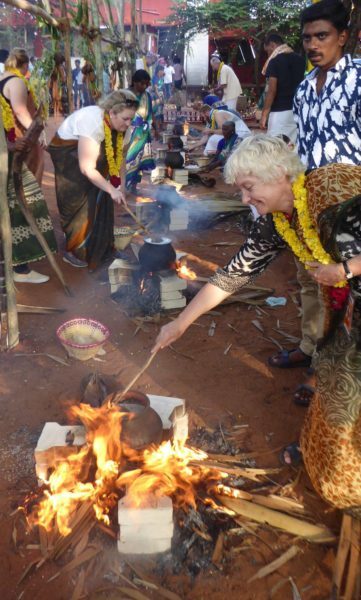 The Pongal challenge gave teams a chance to cook over an open fire, which they first had to build, before their dishes were judged on taste and presentation. Well done to challenge winners the Legenda Trio! 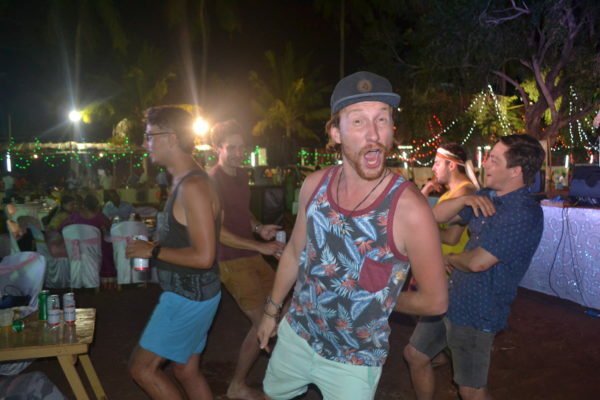 The Travel Scientists’ tenth anniversary celebrations gave everyone an extra chance to enjoy themselves. And let their hair down! 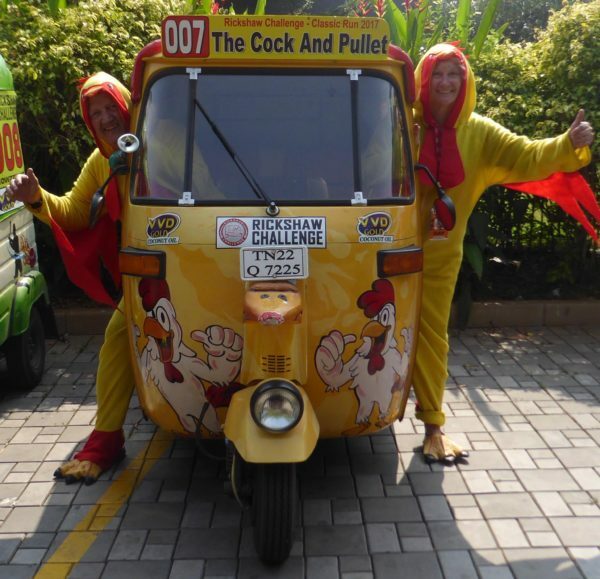 The Rickshaw Challenge Classic Run isn’t all about fun and adventure, it’s also about giving back. 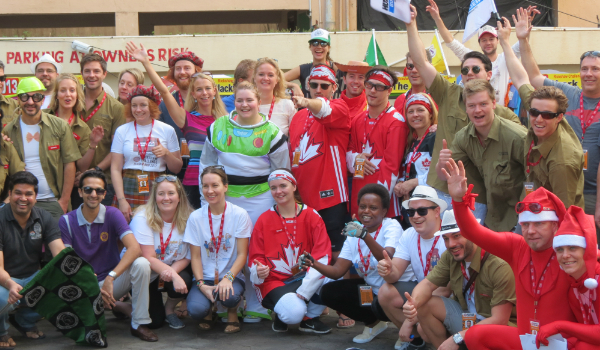 Everyone did their bit, but a massive congratulations goes to the charity winners Team World Teacher Aid, who raised an incredible $12,0000! 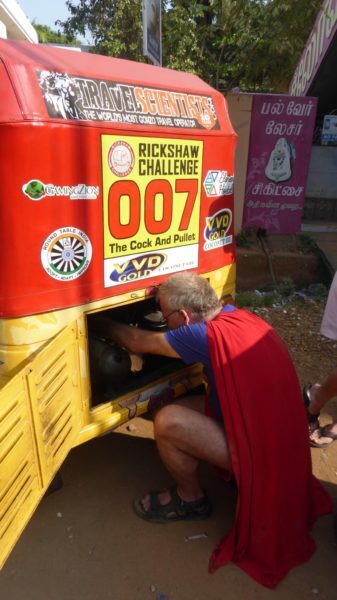 And finally… Superheroes do exist! Next postIntroducing The Great Balkan Ride!